Bluetooth Enabled - Control With Your Smart Device! Parents don't vibrate like bouncy seats or swing like swings. They bounce and sway, and that's what the mamaRoo does; it moves like you do! The 4moms design team used advanced motion sensors to measure the movements of real mums and dads as they soothed their babies, and replicated those motions in the mamaRoo. It's the only infant seat with five different unique motions; all modelled on the natural movements parents make to comfort their babies. 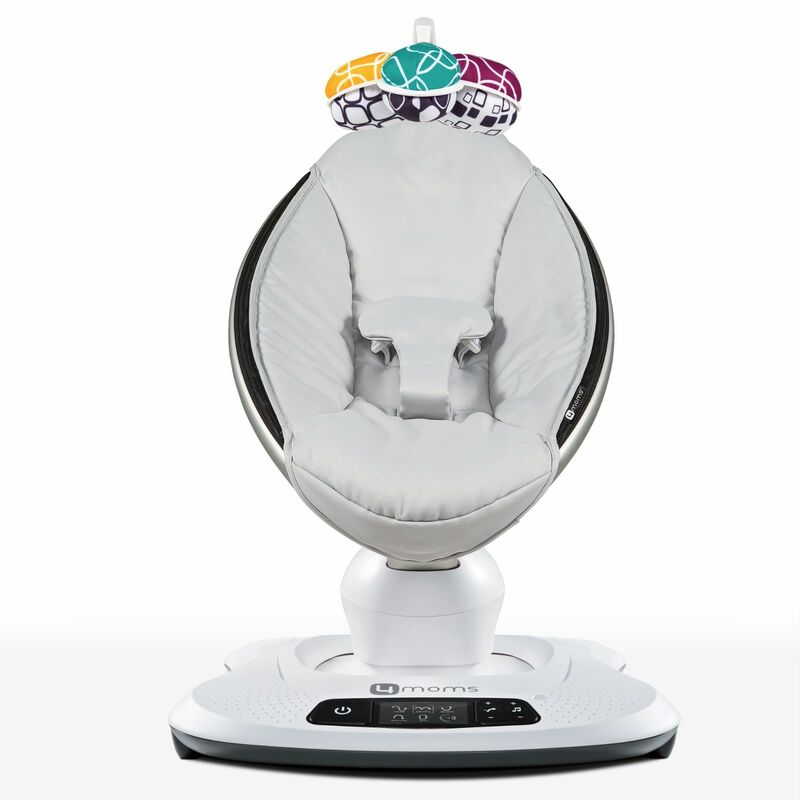 Also included in the mamaRoo comes mp3 connectivity, allowing you to connect your ipod (or mp3 player) to play baby’s favourite songs whilst the soothing motions of the seat keeps your little one happy and content. As a brand new feature, the mamaRoo is now Bluetooth enabled and allows parents to control both sounds and motions via their smart device (IOS and Android compatible). Simply download the free app and pair it with your Bluetooth device to regulate the motion, speed, sound and volume remotely from a distance to avoid disturbance to the baby. The included reversible 4moms mamaRoo Newborn Insert helps your newborn feel snug and secure and features a multi-coloured plush fabric on one side, and a silver plush fabric on the other. It fits perfectly to your mamaRoo providing additional comfort and support for your newborn. The soft, plush newborn insert is easy to attach and remove and is machine-washable for convenience.